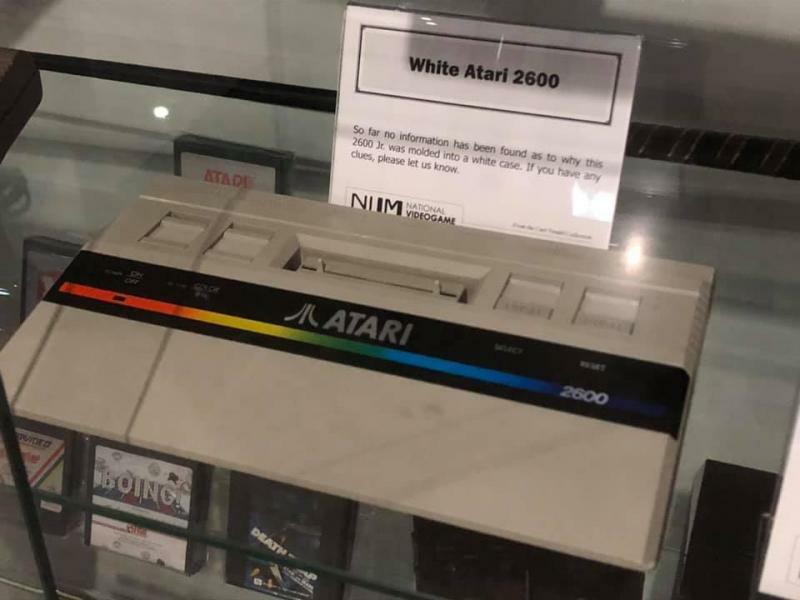 National Videogame Museum in Frisco, TX is wondering about a white case 2600 that was found and is being displayed. Since the 2600 jr. was in a black case, this has to be a proto. They are looking for info on it. Edited by Crimefighter, Sun Mar 24, 2019 12:46 AM. Jeesche oh mercy..mercy.. I thought it was gonna be a WhiteCastle branded 2600..! Edited by Keatah, Sun Mar 24, 2019 2:03 AM. It's neat, but not hard to paint. My question would be is it painted or molded white plastic? The information card in the pic says it was molded. It does look good in white. Kinda looks like the Irish bezel with a white mold shell. Really cool. Is there any information on the bottom of the case? That would be the first place to look for a label (either prototype or production). I would also be curious as to how it arrived at the museum -- was it donated directly by an ex-Atari staffer or did someone find it at a garage sale? Provenance is important with documenting objects. Lastly, what board revision is inside the case, and what are the dates on the chips? This would give at least an approximate date for when it was created. I think this came from Curt Vendel, unless there was more than one of these made. "White"? It looks more like the Atari XE/XEGS Computer gray. The timing would fit too. Looks fantastic; do want!! A factory proto then?